I am currently a Professor of Educational Measurement in the Centre for Educational Measurement at University of Oslo. I joined UiO in September of 2015, where I enjoy conducting basic and applied research in international large-scale assessment. Prior to my appointment in Oslo, I was an Assistant Professor of Inquiry Methodology at Indiana University – Bloomington, where I taught courses in advanced quantitative methods. Prior to that, I was a research associate for the International Association for the Evaluation of Educational Achievment (IEA) – the folks that bring you TIMSS & PIRLS. My experience with the IEA and my doctoral work at University of Illinois Urbana-Champaign has inspired my work in the field of international large-scale assessment (LSA). In particular, I am interested in critically analyzing the methods used to gather data and to produce achievement scores. I am also interested in methods and models for accommodating heterogeneous populations in latent variable models. I have a number of peer-reviewed and forthcoming papers in these areas. I regularly consult for international organizations including the IEA and the OECD and provide workshops on quantitative methods around the world. I have published an edited volume: Rutkowski, L., von Davier, M. & Rutkowski, D. (2014). Handbook of International Large-Scale Assessment. Boca Raton, FL: Chapman & Hall/CRC Press. David Rutkowski is Professor of Education at the Center for Educational Measurement(CEMO) at the University of Oslo, Norway. David joined CEMO in 2015 before that he was a faculty member at Indiana University and also worked as a researcher at the International Association for the Evaluation of Educational Achievement (IEA) Data Processing and Research Center in Hamburg Germany. He earned his PhD in educational policy with a research specialization in evaluation from the University of Illinois at Urbana-Champaign. David’s research is focused in the area of educational policy and technical topics within international large-scale assessment and program evaluation. His interests include how large scale assessments are used within policy debates, the impact of background questionnaire quality on achievement results, and topics concerning immigrant students at the international level. David teaches courses in educational policy, evaluation, mixed methods and statistics. David has collaborated with or consulted for national and international organizations including the US State Department, USAID, the IEA and the Organisation for Economic Co-Operation and Development (OECD). David has worked on evaluations and projects in over 20 countries to include Afghanistan, South Sudan, Trinidad and Tobago and the US. I received my Ph.D. in 2015 from the University of Washington in Educational Measurement and Statistics, which focused on the impact of multidimensionality on IRT model estimates using Monte Carlo simulation in R.
My research interests, broadly defined, include psychometrics methods and the use of educational assessments, specifically on topics of test fairness and measurement invariance, test dimensionality, and issues related to testing of English Language Learners. My technical work has contributed to item calibration, equating and linking, and statistical models for detecting test/item bias. My research methodology involves the evaluation of models using simulation studies and application using real data sets. With the use of simulation techniques, I examine the performance of different model specification approaches under manipulated conditions. With the use of real data sets, I provide model parameterizations and identify the impact of linguistic complexity of word problem. Further, having been an intern at Pearson, I aim to identify, formulate, and solve research problems arising from real world applications in a theoretically sound way. The ultimate goal of my research is to develop and practice advanced psychometrics methodology and contribute to bolstering validity in operational testing. Prior to arriving at CEMO, I spent three years at Northwest Evaluation Association (NWEA) where I collaboratively developed solutions that enable educators to understand their students’ academic progress. I earned my PhD in 2016 from the Department of Educational Methodology, Policy, and Leadership at the University of Oregon (UO) with a specialization in Quantitative Research Methods. My research interests include latent variable modeling, Bayesian inference, and statistical computing. I received my Master of Education in Testing, Measurement and Evaluation at t he Chancellor College, a constituent college of the University of Malawi in 2013. The purpose of my Master’s thesis was to see whether the length of an anchor test was a necessary precondition for equating two test forms using the common items non-equivalent groups designs using the Tucker mean, Levine mean, Tucker linear, Levine linear, and chained linear equating methods. Prior to joining CEMO, I was a secondary school teacher with over 10 years teaching experience. I have also held several part-time lecturing positions in Statistics and Psychology at the Malawi College of Health Sciences and Daeyang University respectively. I am currently working in the Embracing Heterogeneity Project. I joined the Department of Counseling and Educational Psychology in August 2011 as an Assistant Professor of Inquiry Methodology. I received my Ph.D. from Arizona State University in Educational Psychology with the emphasis in Measurement, Statistics, and Methodological Studies. My research interests involve methodological investigations of the performance of current psychometric models and procedures. Currently, I am investigating the effect of complex structure on dimensionality assessment in both compensatory and noncompensatory multidimensional item response theory (MIRT) modeled data. Additionally, I have done work in the area of cognition and assessment design in reading comprehension and mathematics. With the rise of various cognitive diagnostic models as a response to the increasing demands from administrators to better understand what students can and cannot do, much is to be investigated with respect to psychometric properties of such models, including dimensionality and estimation. My academic interests are measuring and trying to explain why people differ on basic human skills and abilities remains an intriguing topic. As a Psychometrician I am interested in all aspects of Assessment, Evaluation, and Testing, with a specific passion for the Development and Application of Latent Variable Models in a new measurement context. This figure represents the classical typology of latent variable models. Current advances are combining and extending these types across their default boundaries, and adding structural elements on top of the measurement models (i.e., generalized structural equation modeling: SEM). I joined the University of Bath in 2015. Prior to that, I worked as Head of the Research and Analysis Unit at the International Association for the Evaluation of Educational Achievement (IEA) in Germany, and held different academic appointments at the Universidad Iberoamericana (UIA) and the Facultad Latinoamericana de Ciencias Sociales (both in Mexico). I am interested in developing work around comparative analyses of educational systems using large-scale assessment data with a focus on educational inequalities. I also have a strong interest in civic and citizenship education and the use of mixed-methods approaches to educational research. I have a BA in Public Accounting by the Universidad Nacional Autónoma de México (UNAM), a Master’s in Educational Research by the UIA, and a PhD in Education by the University of Bath. María Elena Oliveri’s research focuses on foundational and applied issues on validity related to score use, score interpretation, and consequences of test use. She is one of two associate editors of International Journal of Testing and is the Annual Program Meeting Chair of the American Educational Research Association Division D. Prior to ETS, María Elena was a second language teacher and Vancouver literacy mentor in K-12 schools. She also lectured at the University of British Columbia (UBC) on second language learning, assessment, and evaluation topics. Her University of British Columbia cross-disciplinary training includes a PhD and Masters in measurement, evaluation, and research methodology and a Masters in school counseling psychology with specializations on group, language, and teaching dynamics. She has published numerous articles, book chapters, and technical reports. Her areas of expertise include validity and cross-cultural and international assessment. I am engaged with analysis of data from large-scale international comparative achievement studies, such as PISA, TIMSS, ICILS & TALIS. I also have an interest in learning more about how data from national assessments may be used to inform classroom processes and school development. As a professor at CEMO I seek to build a portfolio of research relating to assessment in the Norwegian context. Furthermore, I have an interest to study school leaders’ and school owners’ competencies to handle the increasing influx of data describing their organization. I do not have a regular schedule of teaching, but I am involved in giving courses on educational measurement. I have regular lectures in the teacher education and school leaderships program at the Department of Teacher Education and School Research. I am currently supervising three phd candidates. I started working at CEMO April 2016. Before this I was employed at the Department of Teacher Education and School Research (ILS) at UiO for 17 years. In 2005 I defended my PhD on analysis of data from the scientific literacy test in PISA. I have worked with operational and research activities in many of the international large-scale studies. In the last five years at ILS I was the head of the Unit for quantitative analysis in education (EKVA) and in the last two years I was also Head of research and deputy leader at the department. Before beginning my academic career I worked as a physics, science and mathematics teacher in upper secondary school. His academic interests are Psychometrics, Statistics, Biostatistics, Social Statistics and Econometrics. 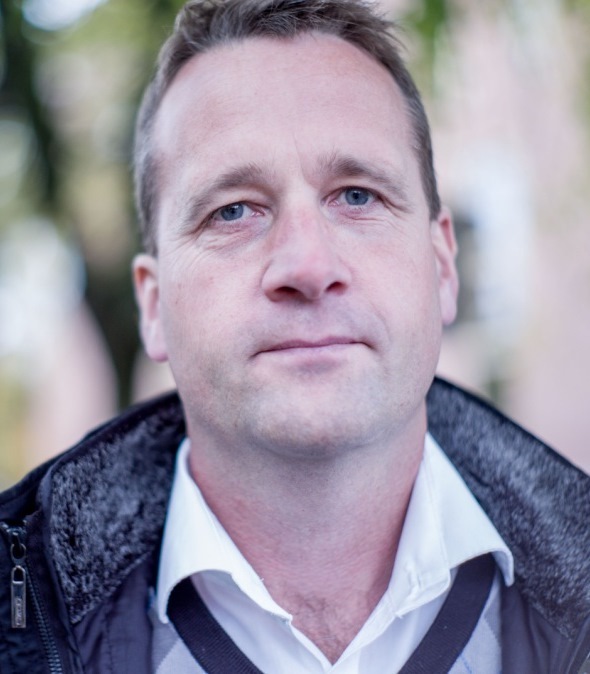 Skrondal started his career as a Research Fellow in the Department of Economics and as a Researcher in the Department of Biostatistics, both at the University of Oslo. His Doctor Philos thesis in Statistics was awarded the 1997 Psychometric Society Dissertation Prize, judged on “the level of originality in the ideas and techniques, the possible applications and their treatment, and potential impact”. He was subsequently awarded a personal Postdoctoral Fellowship from The Research Council of Norway which was spent at the University of London and the University of Manchester. After returning to Norway in 2001, Skrondal became a Senior Researcher and subsequently Head of the Biostatistics Group at the Norwegian Institute of Public Health. In 2005 he took up a position as Professor of Statistics in the Department of Statistics at the London School of Economics (LSE) and was subsequently appointed as Director of the LSE Methodology Institute. After spending almost four years at the LSE, Skrondal returned to the Norwegian Institute of Public Health where he is currently a Senior Scientist. He recently served as Adjunct Professor of Biostatistics in the Department of Mathematics, University of Oslo. A major part of Skrondal’s statistical work has been related to the development of the Generalized Linear Latent and Mixed Model (GLLAMM) framework which unifies and generalizes latent variable modeling and multilevel modeling. Output include papers published in statistical, biostatistical, psychometric and econometric journals as well as several bestselling books. Skrondal also collaborates with researchers in medicine, psychology, and the social sciences, and was recently instrumental in publishing a paper in the New England Journal of Medicine. In total, he has published papers in more than 50 different peer-reviewed journals and 12 books. His h-index is 48 in Google Scholar, meaning that his 48 most-cited publications have each been cited at least 48 times.The gllamm software for fitting GLLAMMs has been used in articles in more than 750 different journals. Skrondal is regularly giving workshops and keynote lectures on his research worldwide. Anders Skrondal has been elected as President of the Psychometric Society for 2016-2017. He is an elected member of the International Statistical Institute, and formerly a co-editor of Statistical Methods in Medical Research and the Chapman & Hall/CRC book series Statistics in the Social and Behavioral Sciences. Skrondal has been an Honorary Professor at the London School of Hygiene and Tropical Medicine (LSHTM), an elected member of the Research Section Committee of the Royal Statistical Society (selecting papers to be read for the Society), the Board of Trustees of the Psychometric Society and the editorial council of Psychometrika. Skrondal has served on scientific committees for international conferences, taken part in expert panels evaluating academic institutions, served as member of international scientific advisory boards, and reviewed research proposals and/or research programs for various funding bodies worldwide. Dr. Matthias von Davier is a principal research scientist in the Research & Development Division at Educational Testing Service. He joined ETS, which is located in Princeton, NJ, USA, in 2000. He earned his Ph.D. in psychology from University of Kiel, Germany, in 1996, specializing in psychometrics. At ETS, Dr. von Davier manages a group of researchers concerned with methodological questions arising in large-scale international comparative studies in education. He is one of the editors of the periodical “Issues and Methodologies in Large Scale Assessments,” which is jointly published the International Association for the Evaluation of Educational Achievement (IEA) and ETS through the IEA-ETS Research Institute (IERI). His current work at ETS involves the psychometric methodologies used in analysing cognitive skills data and background data from large-scale educational surveys, such as the Organisation for Economic Co-operation and Development’s upcoming PIAAC and the ongoing PISA, as well as IEA’s TIMSS and PIRLS. His work at ETS also involves the development of software for multidimensional models for item response data, and the improvement of models and estimation methods for the analysis of data from large-scale educational survey assessments. 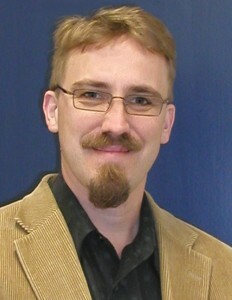 Prior to joining ETS, Dr. von Davier led a research group on computer assisted science learning, was co-director of the “Computer as a tool for learning” section at the Institute for Science Education (IPN) in Kiel, Germany, and was an associate member of the Psychometrics & Methodology Department of IPN. During his 10-year tenure at IPN, he developed commercially available software for analyses with the Rasch model, with latent class analysis models, and with mixture distribution Rasch models. He taught courses on foundations of neural networks and on psychometrics and educational psychology at the University of Kiel for the Department of Psychology as well as for the Department of Education. He gave various invited workshops and mini-courses on psychometrics and recent developments in item response theory models. In 1997, he received a postdoctoral fellowship award from ETS and an additional research award from the German Science Foundation. From 1993 to 1997, and he was part of the research staff on the German Science Foundation funded project on “development and validation of psychometric mixture distribution models” at the University of Kiel. Dr. von Davier’s research focuses on developing psychometric models for analysing data from complex item and respondent samples and on integrating diagnostic procedures into these methods. His areas of expertise includes topics such as item response theory, latent class analysis, classification and mixture distribution models, diagnostic models, computational statistics, person-fit, item-fit, and model checking, as well as hierarchical extension of models for categorical data analysis, and the analytical methodologies used in large scale educational surveys. Dr. von Davier’s applied research uses these methodologies to analyse data from educational testing, large scale survey assessments of student skills and adult literacy, to computer based assessment of skills, and to the analysis of questionnaire data. I am pursuing the Ph.D. in the Inquiry Methodology at Indiana University. Concurrently, I am pursuing the M.S. in Applied Statistics. Prior to my doctoral studies, as a B.S. in Economics, I worked as a junior researcher at the Institute for Advanced Development Studies (INESAD). Under the guidance and supervision of Prof. Leslie Rutkowski, my adviser, I have become conversant with the design and applications of International Large Scale Assessments (ILSAs). My academic experiences and opportunities have shaped my research interests in Differential Item Functioning and Multigroup Comparisons methods, in particular in the design and potentialities of Multistage Testing, within the context of ILSAs. In July 2015, I joined the Center China Normal University where I received my Ph.D. My research interests are curriculum and instruction; mainly on school’s curriculum design, classroom teaching reform and student’s learning process. Currently, I worked as a guest researcher with David Rutkowski and Leslie Rutkowski at CEMO, University of Oslo Norway. I am interested in educational measurement and also expecting to do some research that can link the Large-scale Educational Assessment with Curriculum and Instruction. I want to find effective proof by researching and analyzing the data from LEA to support the related policies of the reform of curriculum and instruction in China and do some comparative studies between China and Norway. I am also interested in student’s learning process quality evaluation and intent to construct scientific standards of it so as to assess the quality of student’s learning process and find some ways to help students to promote their learning process quality. Additionally, I am interested in the assessment of student’s subject ability in their subject learning. I study psychology at the University of Trier in Germany. As an intern at the Centre for Educational Measurement (CEMO), I work in the project Embracing Heterogeneity, supervised by Leslie and David Rutkowski. My internship lasts between March and May 2017. So far, the focus of my work here is on understanding and operating with the program R. In addition to this, I am researching the main topics of the Embracing Heterogeneity project, to gain a deeper insight into the challenges when dealing with large-scale assessments and evaluation of these. My goals during this internship are to deepen my methodological knowledge and to expand it to programs other than SPSS. I also want to use the time at CEMO to gain more competence in general research skills, but especially in the area of educational measurement and large-scale assessments. I am a student of psychology from the University of Trier, Germany. I worked in the Embracing Heterogeneity Project from August to October 2016 as an intern at the Centre for Educational Measurement at the University of Oslo, supervised by Leslie and David Rutkowski. During my internship, I had a variety of interesting tasks; I was conducting straightforward analyses with data from the PISA and TIMSS studies using SPSS, R, Excel and the IDB Analyzer. About this work, I wrote basic tutorials on how to convert data from one kind of software to another. Furthermore, I helped develop this webpage. I am interested in psychological research with a particular focus on educational measurement and large-scale assessment and I would be happy to deepen my methodological knowledge in these fields in the future.